Barring a seismic political wave of anti-incumbency, the District 15 Democratic slate – state Sen. Brian Feldman (D-Potomac) and Dels. Katheleen Dumais and David Fraiser-Hidalgo – is heading towards re-election this November. It’s unlikely that any Montgomery County Republican will emerge victorious in November. Though, Montgomery County’s Republican Party, to its credit, has recruited a slate of above-average challengers to run in District 15, including Laurie Halverson, a Hogan-appointed former State Board of Education member; Harvey Jacobs, a moderate Republican; Marc King; and running for state Senate is David Wilson, a retired U.S. Army officer. This year, in particular, Republicans in Montgomery County may face an unusually challenging election cycle. Montgomery County Democrats are revved up and are expected to vote in droves. A popular Republican governor – Larry Hogan – lives in the State House is an enigma for Maryland, however. But a profoundly unpopular Republican president now lives in the White House, and Montgomery County Democrats are inextricably tying all Republicans, whether pro-Trump or Never Trump, to the Make America Great Again crew, leaving Montgomery County Republicans – even quality candidates like Wilson, Haverson and Jacobs – in a devastating position. The question for District 15 isn’t whether a Republican can do the impossible and eek out a victory, it’s which Democrat will replace outgoing state Del. Aruna Miller (D-Darnestown) in the delegation. The answer: Kevin Mack or Lily Qi. Aruna Miller is leaving the District 15 delegation to run for Congress in Maryland’s 6th Congressional District. Miller would surely have been re-elected had she run for a third term. Now, the battle to replace Miller is a true horse race; seven Democrats – Anis Ahmed, Amy Frieder, Hamza Khan, Kevin Mack, Tony Puca, Lily Qi and Andrew Van Wye – are running for the open seat. 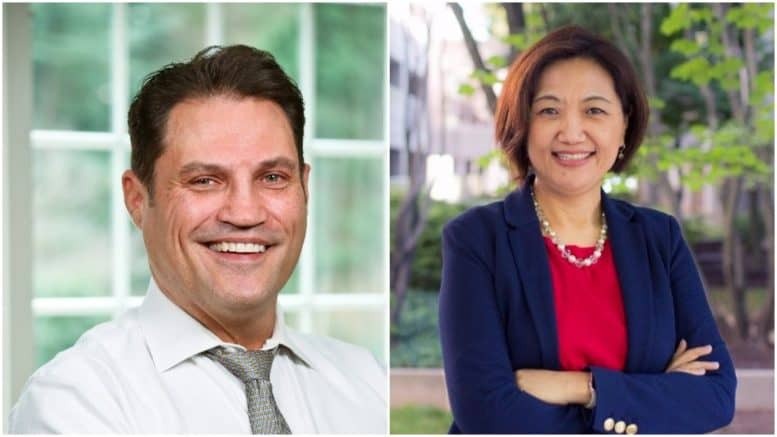 Two of the seven Democrats running to replace Miller’s seat in the delegation – Mack and Qi – have emerged as frontrunners, and for good reason. Mack, 49, is Rep. John K. Delaney’s (D-Md.) district director for Montgomery and Frederick Counties. Qi, 54, works for Montgomery County Executive Isiah Leggett’s administration as the Assistant Chief Administrative Officer for economic and workforce development matters. Mack has the support of and is endorsed by Aruna Miller and Rep. John Delaney. Qi, of course, has the support of her boss, Ike Leggett, the outgoing Montgomery County executive, who issued a resounding endorsement of Qi around the time she kicked off her campaign. David Trone, Miller’s top competition in the 6th Congressional District Democratic primary, is also backing Qi with his support, network and financial resources. Aside from the Democratic incumbents, Mack and Qi have accumulated more endorsements combined than their Democratic primary competitors. Qi’s latest campaign finance report shows that she has a cash balance of nearly $78K. Mack has almost $46.6K and is expected to raise more before the June 26th primary. Wan Wye, a former Capitol Hill intern and Senate reporter, reported having $30K in the bank. Puca filed an “Affidavit of Limited Contributions and Expenditures,” declaring that he did not raise or spend more than $1,000. Incumbent Del. Dumais’ campaign finance report lists a little over $32K in the bank whereas Fraser-Hidalgo’s latest report shows he has just shy of $40K on hand.